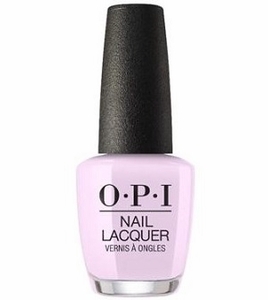 OPI Nail Polish, Frenchie Likes To Kiss?, NLG47, .50 fl. oz. Pale lilac pink creme nail color with subtle lavender micro-shimmer.